The Sydney Morning Herald asked me to name five Books That Changed Me, and here is the link to the interview, which was published today. As a thriller author I suspect it won’t surprise anyone to discover that John Grisham and John le Carré are on my list. But what about Enid Blyton and Charles Dickens? How did they get on my Top 5? 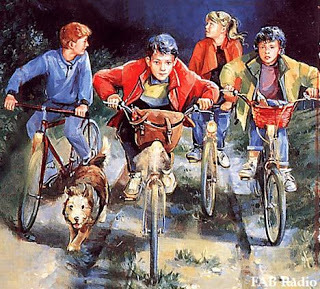 Enid Blyton’s Famous Five series enthralled me as a child. Here were books packed full of the kind of adventures I wanted to experience. I imagined I was George, the tomboy: if only I had my own mysterious island, like the character! Through Blyton, I fell in love with books and their power to transport me into a magical world: treasure, smuggling, kidnapping and ruined castles and a brave dog that fearlessly bit nasty people. What more could a child with a vivid imagination want! I have wept and laughed through all of Charles Dickens’ books but Oliver Twist has to be my favourite because of the great characters and Dickens’ biting, witty turn of phrase: “Tears were not the things to find their way to Mr. Bumble’s soul; his heart was waterproof”. What I learned from Dickens was that the novel can be both entertaining and poignant social and political commentary. I realised, then, that all creative endeavour seeks to explain the human condition. I have always been fascinated by the “what if?” of science and Michael Crichton’s Jurassic Park ignited my fascination for science-based thrillers. Crichton was a master of taking his research and turning it into high-drama, disaster thrillers. His stories were about topics he felt passionate about and only once, in my opinion, did he press his point of view too far, in the highly controversial State of Fear. The lesson for me: thrillers are about entertainment. They can be thought-provoking. But never tell your readers what to think. John Grisham’s The Pelican Brief blew me away not only because it was about environmental destruction and a conspiracy that reaches all the way up to the U.S. president, but because the hero is a clever and resourceful woman, Darby Shaw. This for me was ground-breaking – for once, she wasn’t the helpless damsel in distress. Most exciting of all, this was one of the early, high-profile environmental thrillers, and was part of a new sub-genre that included Michael Crichton.